If his long hair and bright Legend Car don't give it away, Justice Calabro likes to stand out in a crowd. The 14-year-old native of Hollywood, California, has a hairstyle fit for a surfer and a colorful personality to match his neon-and-blue No. 25 Legend Car. It's when Calabro is behind the wheel, however, that he most enjoys distancing himself from the pack. 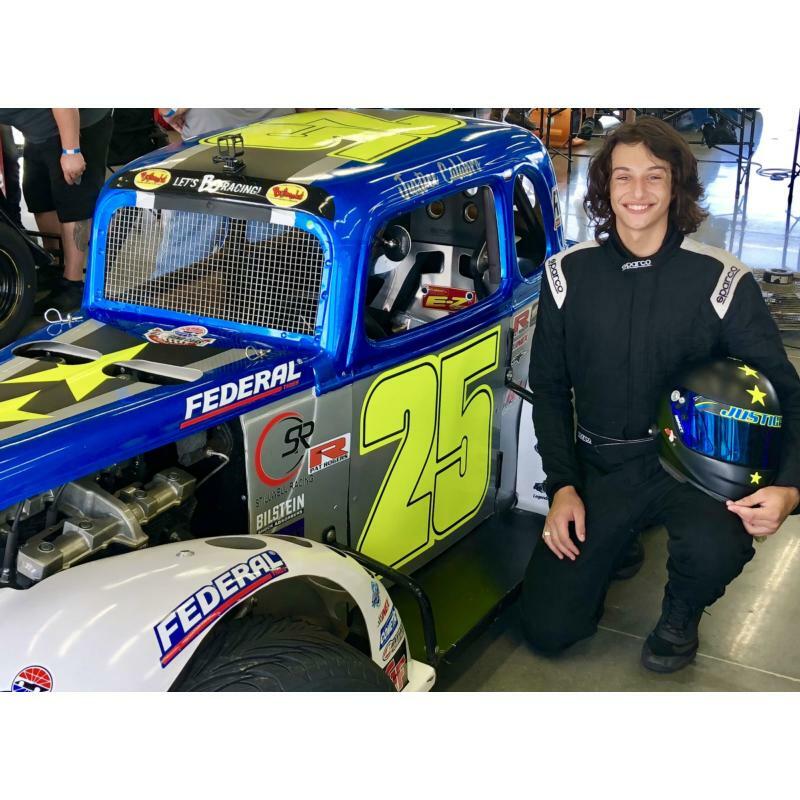 In his first year of competing in the Bojangles' Summer Shootout at Charlotte Motor Speedway, Calabro has shown his considerable potential as a driver. 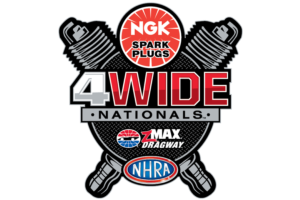 Calabro and his parents, Cliff and Vanessa, moved to Concord, North Carolina, this year to develop his skills in race cars. He honed his craft in go-karts in California, where Calabro won a junior championship in his first season of indoor karting in 2015. "My dream has always been to move up to the Monster Energy NASCAR Cup Series," said Calabro, who drives for Stillwell Racing. "It's been incredible running the Shootout. This is the first step to the big time. Working with the team is great because they have a family environment. There's such good energy out here and the experience of racing here has been great. My competitors have been awesome. Everybody's a good sport. "Coming from karting, I'm used to being open and seeing everything on the track. I got used to it pretty quickly and I've gotten more comfortable in the car." Calabro, who grew up watching fellow Californian racer Jeff Gordon, whose success inspired Calabro to give racing a try. 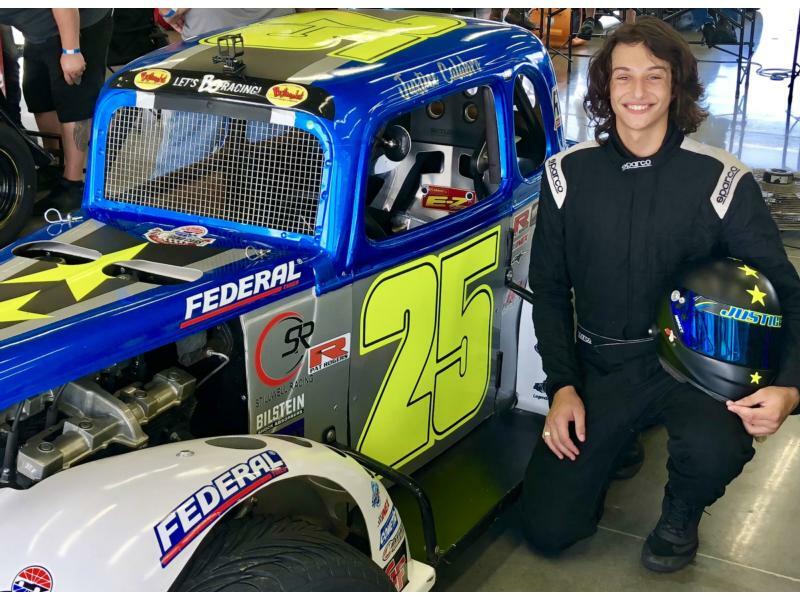 And, while a cross-country move might seem intimidating to most teenagers, Calabro's easygoing demeanor - and his passion for motorsports - helped ease the Hollywood-to-Concord transition. "I immediately fell in love with this place when we visited for the first time," Calabro said. "I love it more and more every time I walk out the front door. Coming from California, it's fun to visit there, but it's not the best place to live. I love being from there and I have lots of friends there, but I've really grown to love living here." Calabro hopes to get used to being in the winner's circle at the Bojangles' Summer Shootout, too. He enters Tuesday's races seeking his first victory in the K1 Speed Young Lions division. Calabro said he's already learned some valuable lessons from the season's first five events. "Everybody is a great person when they win, but you've got to be a great person when you lose," Calabro said. "You've got to race everyone the right way and not hold grudges, because you'll want that same respect when you're out front in a race." Before the green flag drops on the Bojangles' Summer Shootout at 6 p.m. on Tuesday, ROVAL™ Test Fest will bring many of NASCAR's top teams and drivers to America's Home for Racing from 9 a.m.-5 p.m. Fans who attend Test Fest will receive a voucher for a free ticket to witness racing's next crop of talents in the Bojangles' Summer Shootout. Additionally, fans who attend Tuesday's Bojangles' Summer Shootout can meet NASCAR drivers Chris Buescher, Daniel Hemric, Corey LaJoie and Noah Gragson at an autograph session from 5:30-6 p.m. on the speedway's concourse.